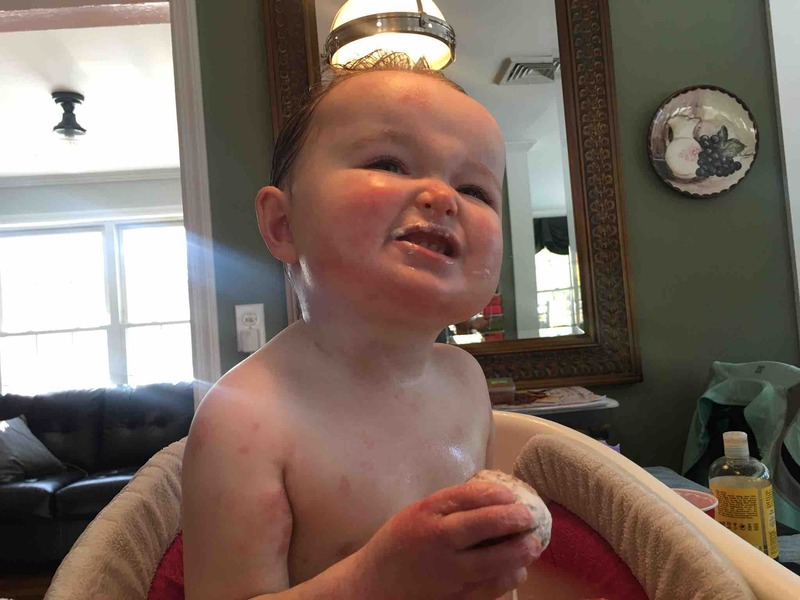 Our daughter, Makenzie, is diagnosed with Recessive Dystrophic Epidermolysis Bullosa (RDEB). RDEB affects approximately 6 newborns per every million born. It is also known as the "scarring type"; as Makenzie's blisters heal, they cause scar tissue which decreases mobility over time. Typically, blisters and skin erosions are present over the entire body, including the mouth and digestive tract. At the simplest level, RDEB results from a mutation in the gene that makes collagen 7. Collagen 7 is the main component of structures called anchoring fibrils, which anchor the top layer of skin to the bottom. Without these fibrils, friction, or other minor trauma, can cause Makenzie's two skin layers to separate. This separation leads to the formation of blisters. There is NO CURE for RDEB. Our most effective treatment is to prevent friction and the formation of blisters, and to appropriately dress blisters so they heal. Many of you have asked what you can do to help. We greatly appreciate your love and support. We are fundraising for both Makenzie's current and future needs. Daily bandage and wound care costs total several hundred dollars. We are now a single income family, as Liz left her job to care for Makenzie. We are excited that Makenzie has been accepted into the University of Minnesota Masonic Children's Hospital, for an experimental Bone Marrow Transplant. Simply put, the transplant is the delivery system of healthy collagen producing cells into Makenzie's body. As she blisters post Transplant, those cells will be directed by her body to eroded areas, starting the healing process and infusing her skin with collagen producing cells. 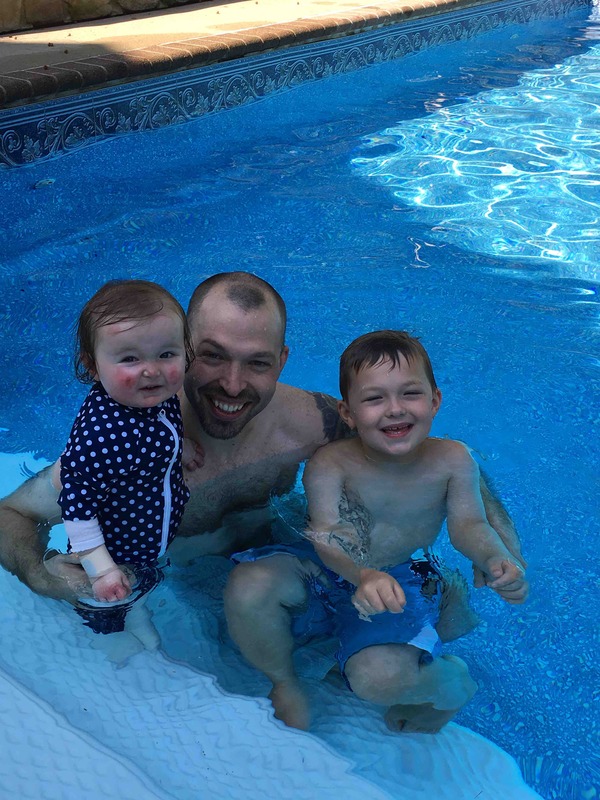 Over time, the hope is that Makenzie will develop collagen producing cells all over body, improving her skin's integrity and her overall quality of life. This procedure is not FDA approved, thus the cost is high; depending on how Makenzie does and her length of inpatient stay, the transplant process averages 1-2million dollars. We have been blessed to have Makenzie's insurance companies pre approve her transplant, but anticipate out of pocket costs ranging between one to two hundred thousand dollars. As a family, we believe this is Makenzie's best hope for a "normal life", and we face the potential complications knowing that less time spent doing wound care, and more time spent playing, is a choice we are confident in. 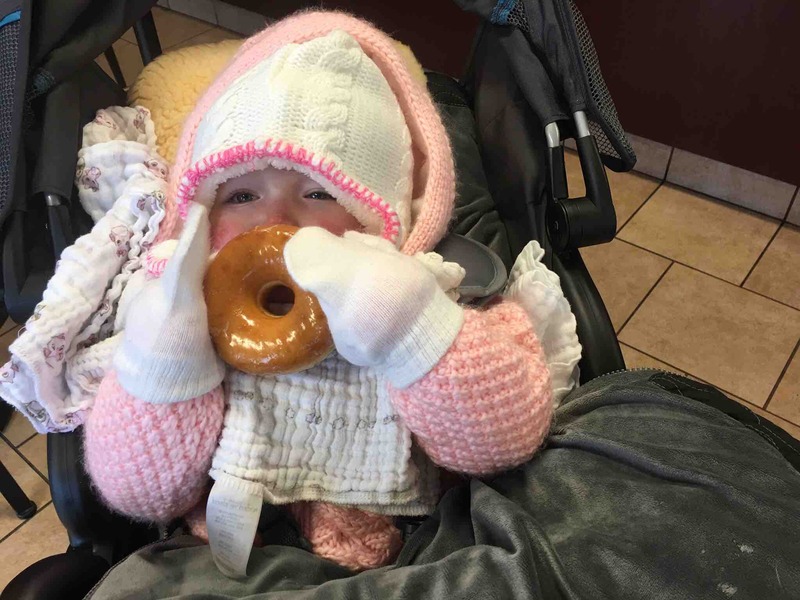 Makenzie has also dealt with several throats blisters and her first esophageal dilation, we want to give her the gift of eating for pleasure, and limit the horrible blistering that can occur with elimination of bowel movements. The last 2 years have been an emotional, life changing journey, teaching us to fully embrace the statement "take each day as it comes". Nothing is guaranteed and treasuring the happy, positive moments is a MUST. Makenzie will face much adversity in her life, but she has proven herself to be a fighter capable of amazing things. With your help and ours, Makenzie's dreams will come true. Our goal, our "dream", is that our beautiful little girl will live a life full of confidence and strength; most importantly, that she learns to own her disease and never regret it for one second. Instead of asking "why me", we will teach Makenzie to say "because I can". Happiness is contagious, positivity is progress, and if we can make our dream for Makenzie come true, our lives will be complete. As we approach the midpoint of our hospital stay here at the U of M Masonic Children’s Hospital, I thought it was time to update everyone! As you may be aware, we are in Minneapolis undergoing an experimental bone marrow transplant designed to increase the integrity of Makenzie’s skin and her quality of life. 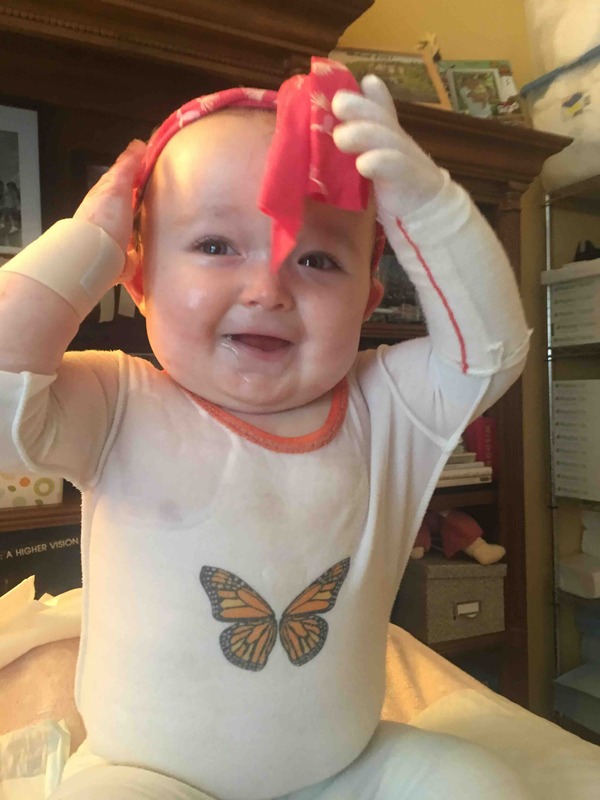 Makenzie was born in February 2016 with Epidermolysis Bullosa, one of 6500 rare diseases without a cure. EB is coined “the worst disease you never heard of”. Individuals with EB have a genetic mutation that results in little to no collagen production, leaving the skin layers without the “glue” that typically holds them together. Individuals with EB blister and sligh, leaving large open areas on their bodies. Wound care and pain management are the traditional forms of treatment. We want MORE for Makenzie! Thus, we are at The Masonic Children’s Hospital participating in the only systemic treatment course available to us. It is hoped that healthy marrow cells containing the correct DNA will reprogram Makenzie’s body for a period of time. Makenzie received Superbrother Crosby’s cells, and will be tested in approximately 16 days to determine whether engraftment was successful. Until then, her body works on healing the damage done by chemo, radiation and transplant. She is currently battling mucositis, as the fast dividing cells (skin, tissue lining, blood cells, etc) in her body have been killed off by the therapeutic protocol. While painful and uncomfortable, this, and the fevers, show the pre-transplant protocol was successful at preparing her body to accept Crosby’s collagen producing cells. Our daughter, Makenzie Cadmus, was born on February 22, 2016, with Recessive Dystrophic Epidermolysis Bullosa (RDEB). 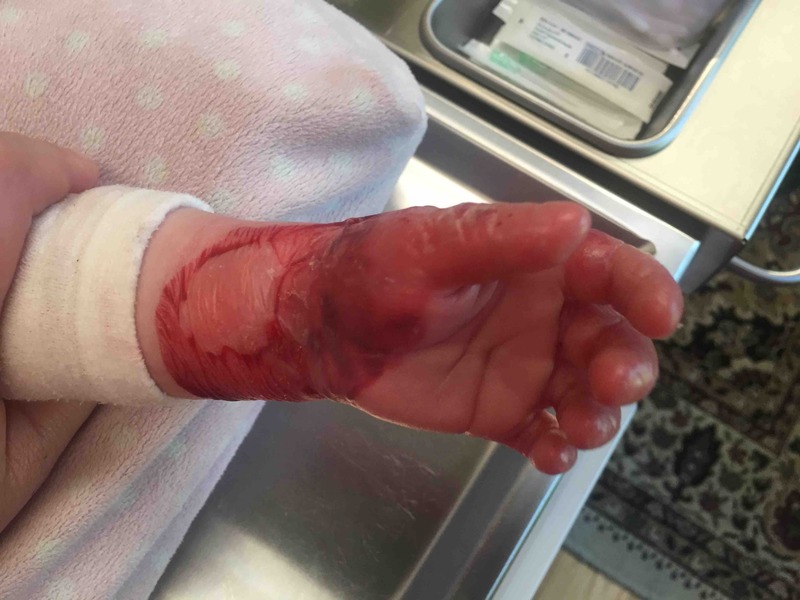 RDEB is extremely rare, one of the most severe types of Epidermolysis Bullosa (EB), and affects approximately 6 newborns per every one million born. We will never forget the shock that overcame the delivery room when the doctor and nurses saw Makenzie was missing the skin on most of her limbs, or when they cleaned her face and removed skin. There is NO CURE for EB. Most individuals with RDEB have a short life expectancy, an average of 30 years, and often develop skin cancer. We deal daily with new blisters and skin erosions, as she is missing the collagen proteins that literally bind the layers of skin together. Makenzie is now learning to walk independently, and she frequently falls, causing sloughed skin and other erosions. The blisters of people with EB do not self-limit and must be immediately lanced to avoid major skin trauma. She undergoes 3-4 hour dressing changes daily to protect her skin. We travel in less than 2 weeks to The University of Minnesota Masonic Children’s Hospital, where Makenzie will receive an experimental bone marrow transplant. The total cost of transplant averages $2 million dollars, as it is not FDA approved; our out of pocket costs are estimated to be $100,000 to $200,000. The transplant, if successful, will help Makenzie to produce collagen, improving her skin’s integrity. Makenzie is a fighter, capable of much more than one would expect given her age and diagnosis. She is quick to smile and laugh, and quickly bounces back from difficult wounds and situations. Our goal, our "dream", is that our beautiful little girl will live a life full of confidence and strength; most importantly, that she learn to own her disease and never regret it. Instead of asking "why me", we will teach Makenzie to say "because I can". As there is NO CURE for EB, the most effective treatment is wound care and pain management. Makenzie’s daily bandage cost is several hundred dollars and we are a single income family; my wife was forced to leave her job to care for Makenzie. Please take a moment to view “Rock The Socks” ( https://youtu.be/UCVHSS13piU), and “Rock the Socks Uncovered: A Family Interview” ( https://youtu.be/vzNJf7svOWk), both by NuView Productions, as well as “Rock The Socks” by Chris Wragge of CBS 2 News ( https://youtu.be/Lhhy8T8k_rk). You can also follow Makenzie on Twitter (@RockTheSocks4EB), Instagram (RockTheSocksMakenzie) and Face Book (Makenzie Cadmus, Rock The Socks). Donations to "The Makenzie Cadmus Special Needs Trust” may be made via GoFundMe ( https://www.gofundme.com/25qu8us) or by check. Can’t make a donation, how about joining us for our two birthday challenges? Our daughter, Makenzie Cadmus, was born on February 22, 2016, with Recessive Dystrophic Epidermolysis Bullosa (RDEB). RDEB is extremely rare, one of the most severe types of Epidermolysis Bullosa (EB), and affects approximately 6 newborns per every one million born. We will never forget the shock that overcame the delivery room when the doctor and nurses saw Makenzie was missing the skin on most of her limbs, or when they cleaned her face and removed skin from her chin. Although Makenzie has healed, there is NO CURE for EB. Most individuals with RDEB have a short life expectancy, an average of 30 years, and often develop skin cancer. We deal daily with new blisters and skin erosions, as she is missing the collagen proteins that literally bind the layers of skin together. 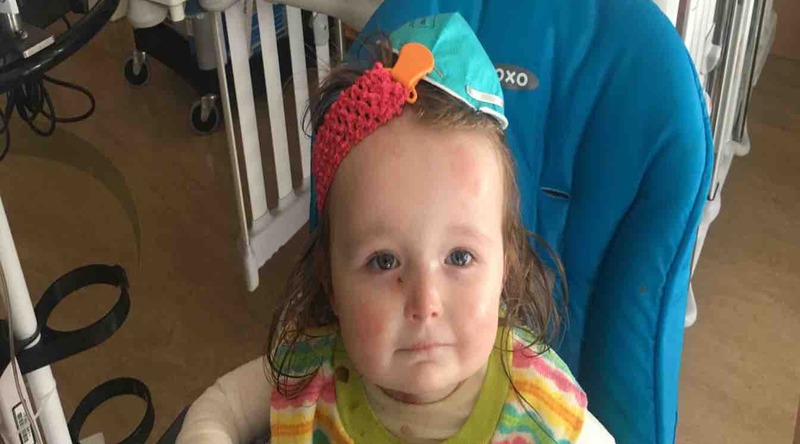 Makenzie is now learning to walk independently, and she frequently falls, causing sloughed skin and other erosions. The blisters of people with EB do not self-limit and must be immediately lanced to avoid major skin trauma. She undergoes 3-4 hour dressing changes daily to protect her skin. Even diaper changes can take more than an hour if stool dirties bandages. In the months following her birth, Makenzie traveled to Morgan Stanley Children's Hospital in NYC, where we learned to care for her and her unique condition. We are now associated with The University of Minnesota Masonic Children’s Hospital, where Makenzie will receive an experimental bone marrow transplant in November 2017. The total cost of transplant averages $2 million dollars, as it is not FDA approved; our out of pocket costs are estimated to be $100,000 to $200,000. The transplant, if successful, will help Makenzie to produce collagen, improving her skin’s integrity. Please take a moment to view “Rock The Socks” ( https://youtu.be/UCVHSS13piU), and “Rock the Socks Uncovered: A Family Interview” ( https://youtu.be/vzNJf7svOWk), both by NuView Productions, as well as “Rock The Socks” by Chris Wragge of CBS 2 News ( https://youtu.be/Lhhy8T8k_rk). You can also follow Makenzie on Twitter (@RockTheSocks4EB), Instagram (RockTheSocksMakenzie) and Face Book (Makenzie Cadmus, Rock The Socks). Donations to "The Makenzie Cadmus Special Needs Trust” may be made via GoFundMe ( https://www.gofundme.com/25qu8us) or by check. I wish I could say I believe in you, that I believe in miracles, but these last few weeks have been a test. I am sure you know Makenzie, my daughter, and of her rare, incurable, and debilitating genetic disorder, Epidermolysis Bullosa. You may have also noticed that we have been quiet; our family has been in a type of mourning, a holding pattern, as EB reared its ugly head. Makenzie has blistered and sloughed significantly; it has been difficult and challenging and enlightening. These weeks have also made me want to curl up in a tight ball and hide until the storm passes. That, unfortunately, is not an option. Thus, we move along the best we can, taking each day, each blister, each trial, as it comes. To give you an idea of what we have faced, Makenzie blistered and sloughed on her chest and neck around Thanksgiving; that is finally healing. She also blistered on her left instep all around the foot, imagine a blood filled doughnut circling your ankle. This was topped by three large blisters going up the inside of her left shin. Makenzie also pulled off her torso bandage during a change, resulting in a "carrot peel" wound across her chest from arm to arm, that too is finally healing. I am so thankful to move past these difficult to heal wounds. Unfortunately, the last few days have found us facing new areas of concern. Makenzie has blistered across the back of her neck, sloughing several of them, and leaving large, open, raw areas that are slow to heal. She blistered in her diaper area, one of our biggest fears come to life, due to the possibility of infection and difficulty of healing. This one brought me to tears. Just this morning, Makenzie was dancing through her torso bandage change, she sneezed and we noticed blood on her socks. She began to cough, mucous coming first, then blood, as the throat blister I suspected was coming finally ruptured. After 10 minutes of fussing, Makenzie was dancing again, but has since refused to eat. I wish I was writing to ask for "my two front teeth". The fact is, i would give anything for such a simple wish. The reality of my day is that I would give anything to exchange the skin I wear with my daughters. Makenzie has survived a difficut month and my greatest fear is that it will get worse. That the blistering that started in her diaper area, the sporadic sleep she and I get due to her pain and discomfort, heralds a more difficult future. I HATE what Makenzie faces every day. I HATE that I cannot heal her, that I cannot absolve her pain. I HATE EB. All this said, I do believe in fate and a higher path, and that Makenzie came to us for a reason. I hold onto this belief for dear life these days. There must be a reason for the challenges we face, the pain and discomfort Makenzie braves with such grace and beauty. Our plans changed, and we are so very thankful we landed where we did, when we did. The love and support of family, friends and our community has allowed us to face the challenges of raising a daughter with EB and managing a family with EB. I would like to ask everyone to do one or two things this holiday season... to help us seize control in whatever small ways we can. 2. Consider donating to the cause; we have a Special Needs Trust for Makenzie (The Makenzie Cadmus Special Needs Trust, helpmakenzie.com) to support her cost of care and fund a potential bone marrow transplant. There are also two organizations that drive the fight for a cure, DEBRA (debra.org) and EB Research Partnership (ebresearch.org). Help make 2017 and the future a bit brighter for Makenzie, for her family, and others fighting EB. A minute of your time to take and post a photo, a dollar or two for a worthy cause... please think about it. Thank you all for taking the time to read and listen. Happy Holidays to all, here's to hoping 2017 brings us brighter times! My heart goes out to you and your family. Makenzie is so sweet! As you know our newborn son was diagnosed with EB. We hope to in the coming weeks find out the type he has so we can better prepare for his needs. Right now as you have said in your post. We are enjoying our time with him and loving him. I pray and hope everything goes well and look forward to continuing to follow Makenzie story and continue to help bring awareness to this condition. Happy Birthday to you Makenzie! I care and a little can go a long way.